SPECTREOUTREACH.com: For Serious Blogger only ! For Serious Blogger only ! Just regularly update your blog-lah weekly and please if you are FFK person by nature "Please do not apply!" . Here some of the detail of the offer! You must update your blog at least twice a week. Write a short story a.k.a review about this sponsorship program on your current blog (Blogspot or wordpress). 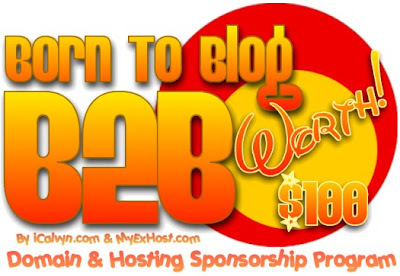 You can make money with this blog, allow to put ads, write sponsor post. Make money online. You are giving the right control over your domain and hosting control panel. (cPanel) As long fulfill above requirement. **Sponsorship Agreement will be given to protect your benefit, domain and content ownership.